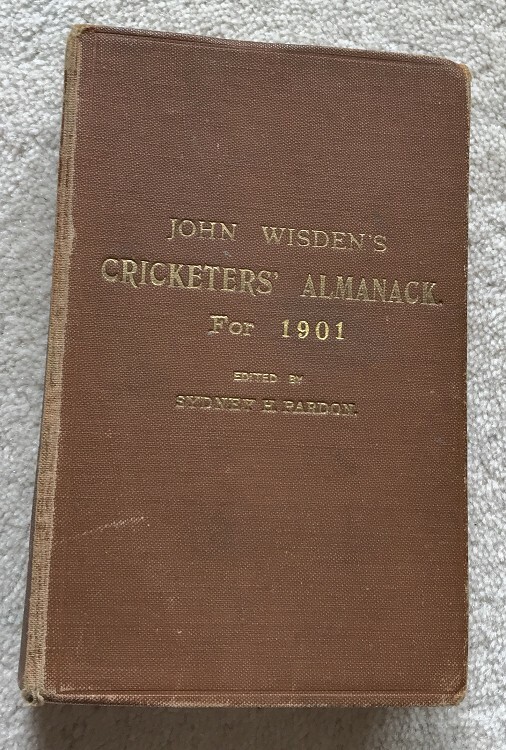 This lot is an 1901 Original Wisden , Rebound without the covers within. However the front cover is tipped in at the front (detached). The binding is known as a publishers rebind, the boards are standard issue by "Wisden" with the 1901s added later, hence brighter. In good condition, nice and clean pages hence internal nice and sound , nice photoplate and tissue paper too.